We have a rich heritage of cooperation, mentoring, and skill sharing - this spirit continues to be at the heart of our organisation. DOT is a community of Designers, Artists and Creative people. We have a rich history of cooperation, mentoring, and skill-sharing - this spirit continues to be at the heart of our organisation. We especially seek to encourage and foster young and early-career designers and makers. 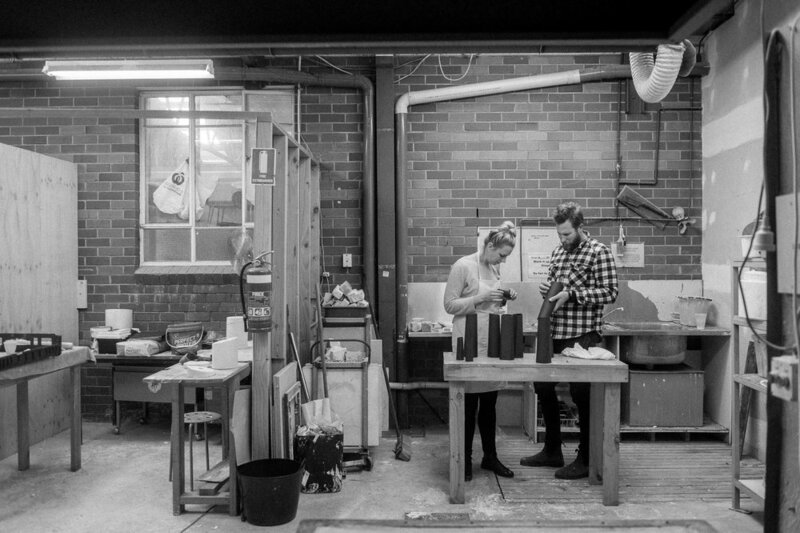 The life of DOT centres around our studio and workshop space in North Hobart, Tasmania. Our facilities offer the ability to work across a diverse range of materials and processes including Timber, Metal, Ceramics and Glass. DOT seeks to acknowledge and learn from Tasmania’s rich craft heritage, while also exploring the latest in materials and process technologies. Since 1986 we have existed as a community of designers and makers who seek to encourage exploration, entrepreneurship and excellence, and to offer support, resources and opportunities for members who run, or are seeking to establish, creative businesses and enterprises.